Complete Construction & Management, Inc. 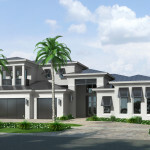 Complete Construction & Management (CCM) is a premier South Florida custom home builder. We specialize in custom home construction, custom paving, home maintenance services, and remodeling. As custom home builders in South Florida, we customize every detail of your project, from design to maintenance and remodeling, to give you the unique, luxury living space you desire. Why Choose Complete Construction & Management? Our work as luxury home builders in South Florida stands apart by its beauty, magnificence, and customized attention to detail. 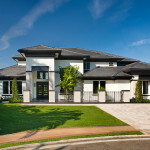 We are able to complete each luxury home construction on budget and on schedule. Most importantly, we have the experience and resources needed to turn every custom home construction dream into a reality. When it comes to South Florida custom home building, customer satisfaction means to us treating each project individually. We customize your luxury home construction to precisely meet your needs and desires. We provide every service you need to live a life of South Florida luxury in your custom built home. With over 20 years of experience as South Florida custom home builders, we are able to complete our projects in a timely and efficient manner. Decades of award-winning service in South Florida custom home construction have built up valuable relationships and a vast knowledge of city codes and permits. Our expertise and partnerships allow us to expedite your custom home building and renovation projects. Our greatest assets are dedication and professionalism. Together, these put the “custom” in custom home construction. We offer a wide variety of luxury home building services, each one custom tailored to meet your specific home construction goals. Utilizing this individual approach, we are able to treat your project as a unique and specialized enterprise. For experience, craftsmanship, and quality of service that are second to none in a South Florida custom home builder, look no further than CCM. Your custom luxury home construction is just a phone call away! Give us a call today at 561-436-3679!